✔ Live In New York? ✔ Need help with daily activities? Hire a family member or friend to care for you — and they'll get paid! Your caregiver will get paid $15 per hour, and $22.50 per overtime hour, plus health insurance. Your caregiver will get paid $12 per hour, and $18 per overtime hour, plus health insurance. Your caregiver will get paid $11.10 per hour, and $16.65 per overtime hour. Click on the dropdown above to get your answer. FreedomCare is available only in New York. son, relative, friend or previously hired aide. ‍Your loved one gets paid! No other agency serves more New Yorkers — and no other agency has earned more 5 star ratings. Learn who we are & what we do in this 2 minute video. Her granddaughter Elizabeth cares for her 5 days a week. FreedomCare is available in EVERY COUNTY in New York State. It is NOT available outside of New York. 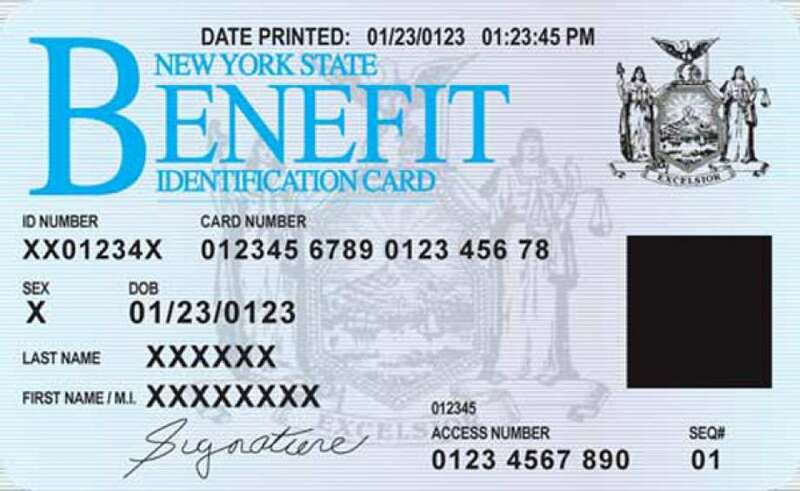 Do you have one of these Medicaid cards? If yes, then... you can get care from someone who loves you — and you won’t pay a cent. ‍FreedomCare is a Medicaid program, so your caregiver will be paid through Medicaid. (Unfortunately, Medicare is NOT enough under current government regulations.) If you don’t have Medicaid but think you may be eligible, click here to contact a partner vendor who can help. Fill out this form to find out. I’ve had aides in the past, but it always ended badly. This is one of the best programs ever. I’m so happy that my niece is helping me. And our contact at FreedomCare is wonderful. It was hard, because I didn’t want to leave my mom at home — I was scared she’d leave the stove on or get hurt. And you only get one mother. Now I get to have a job AND care for my mom at once. It’s literally PERFECT. Transform your quality of life, in 3 simple steps. Her son Kareem takes care of her 4 days a week. A nurse will visit you at home to determine if you’re eligible for the CDPAP program. You'll find out how many weekly hours of care you can get. You choose a caregiver: your daughter, son, relative, or friend. We come to your home to enroll you in the program. You get ongoing care from a person who loves you. They get peace of mind — because they’re getting paid for the care they give. No other CDPAP agency serves more New Yorkers than FreedomCare — and no other agency has earned more 5 star ratings. 97% of our customers report being “happy” or “very happy” with our service. You’re covered — wherever you are. 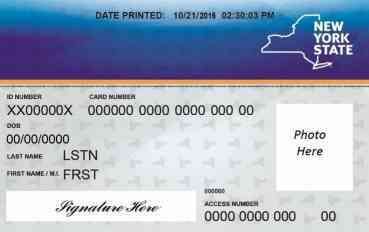 We are the only CDPAP provider providing in-person home enrollment to all 62 counties of New York State. Want to meet us in-person? We offer 10 convenient locations across New York State, so you never have to look far. Our customers say our team members are “helpful” “professional” and “just so nice!” We hire carefully and selectively, so you’re guaranteed representatives who are friendly AND competent. Our average call wait time: 11 seconds. That means you’re guaranteed a kind, helpful, US-based HUMAN within seconds of dialing. My mother had two strokes. We brought in a couple of aides, but I could tell she wasn’t happy. Now I get to care for Mom daily — and she’s smiling and laughing. I feel like it’s my destiny. If I could do for her even 1/10 of what she did for me, I could look at her and say “I know she had the best care.” I feel really good, knowing she’s getting stronger each day. Thousands of New Yorkers trust us. As the largest CDPAP agency in New York — and the only one offering in-person home enrollment across the state — we draw on unrivaled experience + an unparalleled case volume. A proud member of the CDPAP Association of New York, we're contracted with almost every insurance and trusted by thousands of doctors & hospitals across the state. Why become a caregiver with FreedomCare? I was in between jobs, looking for a new one. I thought: ‘What’s going to happen to my mom while I️’m at work all day?' When I told her I’d be caring for her every day, her face lit up. It was a thrilling moment for me. "He knows how to take care of me"
I wasn’t satisfied with my home care, so I started browsing the Internet. I found FreedomCare, and I spoke to a nice man named Danny — he was very knowledgeable and personable. Today, my son is my aide. He knows how to take care of me very well. I like that I have someone I know helping me — not a stranger, who would have to get to know my likes and dislikes. The staff is courteous and friendly, and they always answer my questions. "Easy, from start to finish"
The process was easy, and the people were professional. Everyone at the office was helpful from start to finish, and now I have a family member taking care of me. Knowing you are in the absolute best hands possible.